While for some areas of the country it may not feel like it, winter is right around the corner. And whether you love it or hate it, one of the inevitable aspects of winter is snow. For most kids, snow is the essence of winter. It occasionally means a snow day, sometimes it means shoveling, but it almost always means getting to put on the snow pants and boots and heading outside. As adults the thought of snow elicits either the same feeling as the kids or just the opposite – sheer dread. For us it means driving in less than ideal road conditions, shoveling the driveway, and dealing with wet clothes and dirty floors. But once you get past all of the that, there can actually be some fun found in this cold, wet, sticky precipitation. 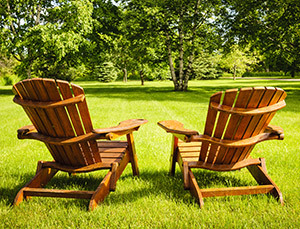 At Backyardville we’re all about finding ways to enjoy your backyard the whole year through. That’s why we have compiled this list of the five outdoor winter activities that we enjoy the most. 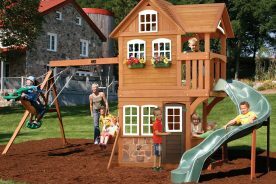 Now depending on your location and the size of your yard, not all of these can be enjoyed right outside your back door. But if you are fortunate to live in a climate that gets to appreciate the diversity of all four seasons, then you’re sure to find somewhere that you can take part in one of these winter activities that are perfect for the whole family. Winter as a kid just wouldn’t be winter without sledding. People have been doing it for hundreds of years. 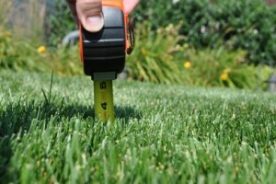 While it may have started out as a primarily utilitarian activity, the majority of people participating in this activity today are doing it strictly for fun. One of the best things about sledding is that people of all ages can do it because it has so many variables that can be changed to fit different ages, sizes, and abilities. 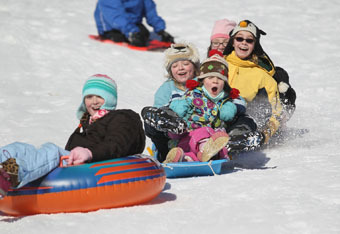 From the type of sled, to the gradient of the hill, even the depth of the snow can all affect one’s sledding experience. 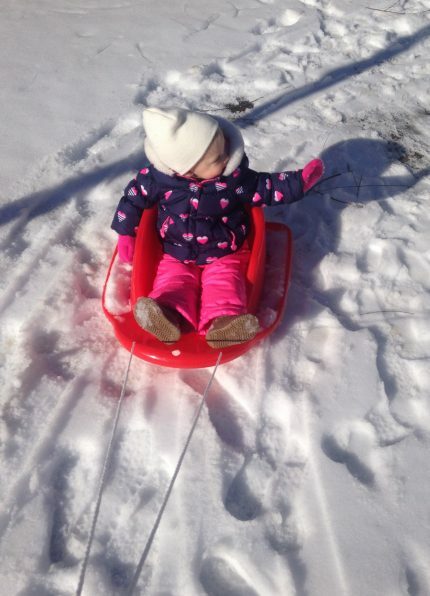 Sledding is also an activity that can be done in your own backyard no matter what its size. Although a long, steep hill makes for the most ideal sledding conditions, even the smallest backyard can be a place where a small child can simply be pulled around on a sled. And for the more adventurous there are typically places in the country or even designated “sledding hills” in your own neighborhood if you’re willing to walk or drive to find them. While it is still an activity that almost any age can take part in, skiing definitely requires a little more preparation and practice than sledding. 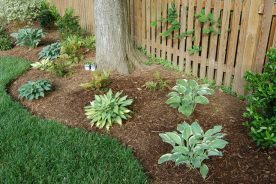 It also usually requires a bit more space than your typical backyard unless you live in the country or a very large city lot. There are two types of skiing that can be enjoyed by cold-climate dwellers – downhill and cross-country. Downhill skiing is by far a more enjoyable pastime if it is done at a designated ski resort or a property with large hills. The mountains of Colorado are an ideal location for long, sloping trails. But even the flat plains of the Midwest have some hilly locations for downhill skiing. No matter where you live there is probably a ski slope within driving distance where you can enjoy this winter activity. 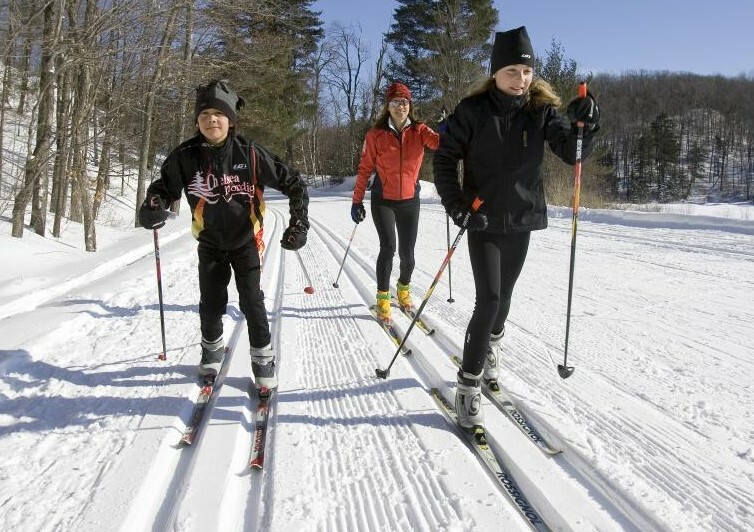 Cross-country skiing on the other hand can be done almost anywhere including your own backyard or neighborhood. As long as it’s somewhere you can typically run or walk, you can probably cross-country ski there as well. That is, as long as people don’t shovel their sidewalks or bike trails before you have the chance! Ice skating is another winter activity that people have been doing for many, many years. Not much about it has changed other than some minor upgrades to the skates to make them safer and more modern. Ice skating facilities have also become a little more sophisticated considering most early ice skating was simply done on a lake or pond in the middle of the wilderness. 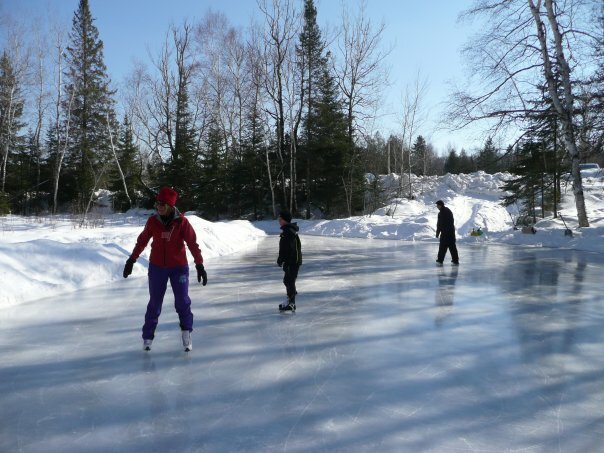 If you are lucky enough to live on a property that has a lake or pond right in the backyard, then you can enjoy an afternoon of ice skating whenever you’d like. While it does not require snow to participate, you will want to make sure there have been sufficiently cold temperatures to freeze the water thick enough to hold you up. Just like snow skiing facilities there are lots of cities that have ice skating rinks where residents can come to ice skate. Most of these rinks are man-made and can be either indoor or outdoor. They typically require a fee to use them and also rent out skates to those who do not own a pair. You may also want to check your area for public ponds or lakes that allow people to come and ice skate for free as long as conditions are safe and ideal for skating. This is one of those winter activities that definitely is not for everyone. However, if you love to fish during other times of the year, don’t mind the cold, and have lots of patience then you will probably also enjoy a few hours, a day, or even an entire weekend of ice fishing. 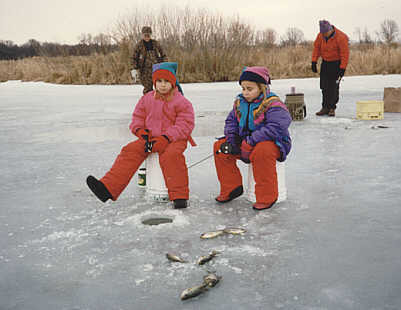 Ice fishing can be a hobby that can be as simple or as elaborate as you want to make it. Die hard ice fisherman will have a lot of equipment and can spend hours sitting in an ice fishing shack on a wintry lake waiting for the perfect catch. On the other hand, a father who just wants to spend some time with his kids might take a drill, a fishing pole, and a bucket to sit on out to the pond and only be there for a few hours. Again, if you live on a property with a lake or pond in your own backyard then ice fishing is something you can do at your leisure. There are many public lakes that allow people to ice fish from day to day but also reserve spots on the lake where people can set up an ice shack that stays there for the winter. Always stay safe when ice fishing and be sure the ice is thick enough to support you and temperatures are sufficient to keep your fishing area frozen. Check here for a more comprehensive list. Finally, a winter activity that does not require any specialized equipment or locations. All you need is a bunch of snow, preferably the wet, sticky kind that doesn’t melt too quickly. Building things in the snow is the ideal activity for kids of every age and even some of their parents too. It’s what they do on snow days, after school, and on the weekends. From snow angels to snowmen, snow forts and everything in between. 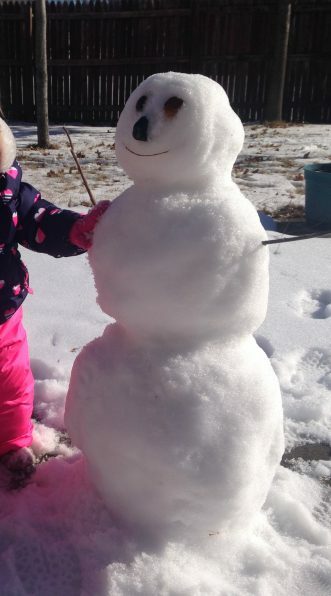 It’s amazing how content kids can be just spending hours in the backyard building everything possible out of snow. Neighborhood kids will come together to build forts and fences for an epic snowball fight while siblings will work together to build the best snowman possible. The only limits on this winter activity are a kid’s own imagination and the amount of snow available. Some kids have equipment like snow block molds for building forts and igloos and there are even kits available now for adding accessories to your snowman. Whatever it is your kids love to build in the snow you can be guaranteed they’ll have a good time and will come in only when they’re wet, cold, and need some hot chocolate. Snowman accessories – rocks, sticks, coal, carrots, scarf, etc. These five winter activities are just a few of the top favorites here at Backyardville. They are perfect for cold weather and there’s some that don’t even require having snow on the ground. No matter what your favorite, gather your warm clothing and the gear you’ll need and enjoy a day of fun with the whole family.